6.45PM: Ursula Heidecker Allen (RSNO Violin) in conversation with Elim Chan (RSNO Principal Guest Conductor) in the Marryat Hall. One of the most exciting conductors of the younger generation and already widely admired for her unique combination of “drama and tenderness, power and delicacy” (Hereford Times), Elim Chan serves as Principal Guest Conductor of the Royal Scottish National Orchestra from Season 18/19 and has recently been appointed Chief Conductor Designate of the Antwerp Symphony Orchestra, a position she will assume from 2019/20 onwards. Highlights this season include her debuts with BBC National Orchestra of Wales, Sydney Symphony, Royal Stockholm Philharmonic and City of Birmingham Symphony orchestras as well as Deutsche Kammerphilharmonie Bremen at Hamburg’s Elbphilharmonie. In addition to these new encounters, she returns to the Los Angeles Philharmonic, Royal Liverpool Philharmonic and Rotterdam Philharmonic orchestras. Recent notable engagements include her debuts with the Philharmonia and Concertgebouw orchestras, hr-Sinfonieorchester and Orchestre national de Lyon. Previously she collaborated with Berkeley, Detroit and Chicago symphony orchestras, The Mariinsky Orchestra, at the Lucerne Festival with the Lucerne Festival Academy Orchestra, Orchestre Philharmonique de Luxembourg, National Orchestra of Belgium and the NAC Orchestra, Ottawa. She led the Orchestre de la Francophonie as part of the NAC Summer Music Institute in 2012 where she worked with Pinchas Zukerman, and participated in the Musical Olympus Festival in St. Petersburg as well as in workshops with the Cabrillo Festival and Baltimore Symphony orchestras (with Marin Alsop, Gerard Schwarz and Gustav Meier). She also took part in masterclasses with Bernard Haitink in Lucerne in spring 2015. 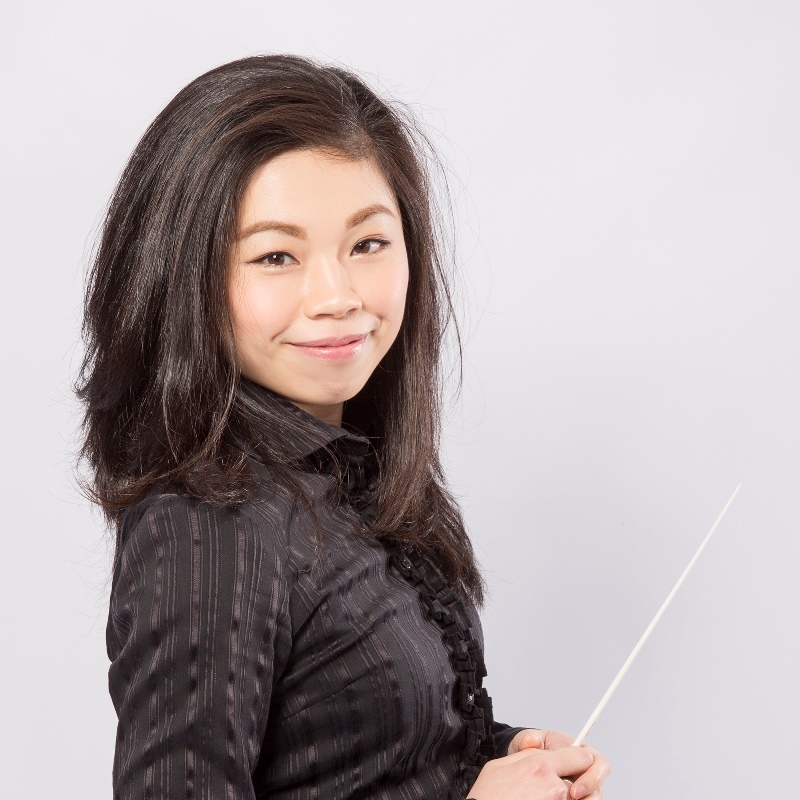 Born in Hong Kong, Elim Chan became the first female winner of the Donatella Flick Conducting Competition in December 2014 – one of the biggest turning points of her career so far – as a result of which she held the position of Assistant Conductor of the London Symphony Orchestra in 2015/16 and was appointed to the Dudamel Fellowship programme with the Los Angeles Philharmonic in 2016/17. Elim Chan holds degrees from Smith College and the University of Michigan. Whilst there, she served as Music Director of the University of Michigan Campus Symphony Orchestra and the Michigan Pops Orchestra. She also received the Bruno Walter Conducting Scholarship in 2013. 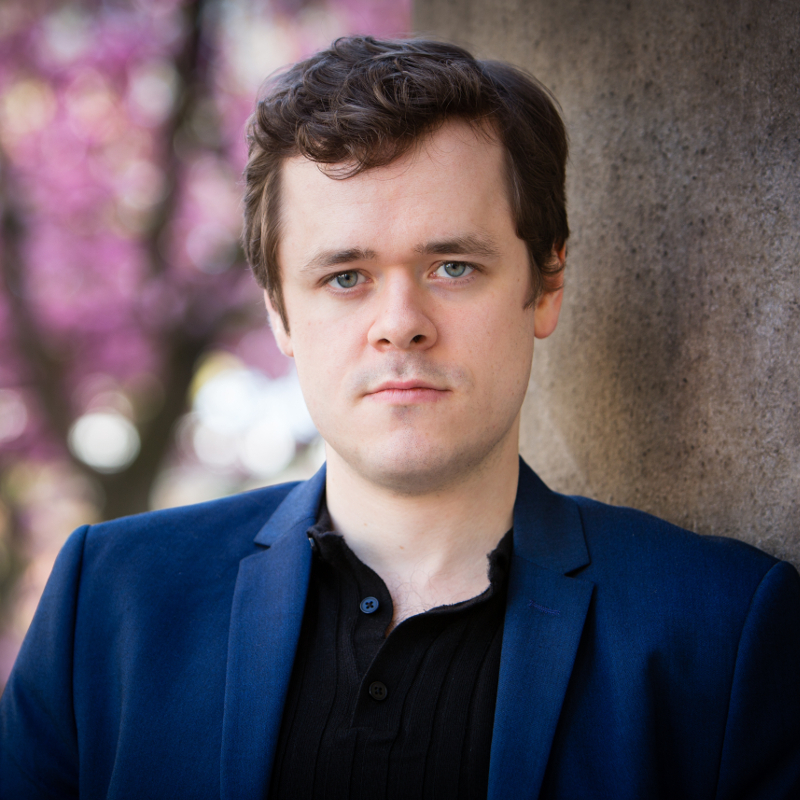 British pianist Benjamin Grosvenor is internationally recognised for his electrifying performances, distinctive sound and insightful interpretations. His virtuosic command over the most arduous technical complexities underpins the remarkable depth and understanding of his music making. Described as “one in a million...several million” by The Independent, he has also been lauded as “a keyboard visionary” by the Süddeutsche Zeitung. Benjamin first came to prominence as the outstanding winner of the Keyboard Final of the 2004 BBC Young Musician Competition at the age of eleven, and he was invited to perform with the BBC Symphony Orchestra at the First Night of the 2011 BBC Proms aged just nineteen. 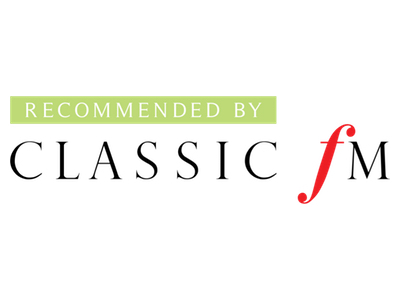 A pianist of widespread international acclaim, he was announced as the inaugural recipient of The Ronnie and Lawrence Ackman Classical Piano Prize with the New York Philharmonic in 2016. Recent and forthcoming concerto highlights include engagements with the Boston and Chicago Symphony Orchestras, The Philadelphia Orchestra, New York Philharmonic, Finnish Radio Symphony Orchestra, Gürzenich-Orchestra Cologne, Hallé Orchestra, Orchestre National de Lyon, Orquesta Nacional de España, Filarmonica della Scala, London Philharmonic Orchestra, and the London, Melbourne, San Francisco, and Washington National Symphony Orchestras. Benjamin works with such esteemed conductors as Vladimir Ashkenazy, Andrey Boreyko, Semyon Bychkov, Riccardo Chailly, Sir Mark Elder, Edward Gardner, Alan Gilbert, Manfred Honeck, Vladimir Jurowski, Emmanuel Krivine, Andrew Manze, Ludovic Morlot, Kent Nagano, Sir Roger Norrington, Gianandrea Noseda, François-Xavier Roth, Esa-Pekka Salonen, Leonard Slatkin, Nathalie Stutzmann, Michael Tilson Thomas, Krzysztof Urbanski, and with Kazuki Yamada. Among Benjamin’s major recital dates in the 2018/19 season are London’s Barbican Hall, Théâtre des Champs Elysées Paris, Madrid’s Ciclo Grandes Intérpretes, San Francisco Performances, Sydney Symphony Orchestra’s recital series, Munich’s Herkulessaal, Milan’s Societá dei Concerti and Palau de la Música Catalana Barcelona. Also a keen chamber musician, he joins Tabea Zimmermann and others for a performance of Schubert’s Trout Quintet at Bonn’s Beethovenwoche 2019, and together with the Doric String Quartet performs piano quintets by Fauré and Dvorák as well as chamber settings of Chopin’s Piano Concertos as part of his concert series at London’s Barbican in 2019. During his sensational career to date, Benjamin has received Gramophone’s Young Artist of the Year and Instrumental Awards, a Classic Brits Critics’ Award, UK Critics’ Circle Award for Exceptional Young Talent and a Diapason d’Or Jeune Talent Award. He has been featured in two BBC television documentaries, BBC Breakfast and The Andrew Marr Show, as well as in CNN’s Human to Hero series. The youngest of five brothers, Benjamin began playing the piano aged 6. He studied at the Royal Academy of Music with Christopher Elton and Daniel-Ben Pienaar, where he graduated in 2012 with the ‘Queen’s Commendation for Excellence’ and in 2016 was awarded a Fellowship. Benjamin has been supported since 2013 by EFG International, the widely respected global private banking group.